After they released their last album, "Dirty Bass," in 2012, LA-based hip-hop group Far East Movement took some time off to focus on their identity. “There were a lot of things we were seeing in the industry that we were going through that kind of got us a little discouraged,” Kevin "Kev Nish" Nishimura, one of the group's members, told NBC News from Seoul, South Korea. “I could say maybe there was an identity crisis where we really didn’t want to make music anymore." It was at times difficult to ignore some of the racially charged comments on social media, Nishimura said, and at times, Far East Movement — which consists of James "Prohgress" Roh, Virman "DJ Virman" Coquia, and Nishimura and initially topped the Billboard charts in 2010 with "Like a G6" — were also asked to consider abbreviating or changing their name or putting on glasses for marketing purposes. 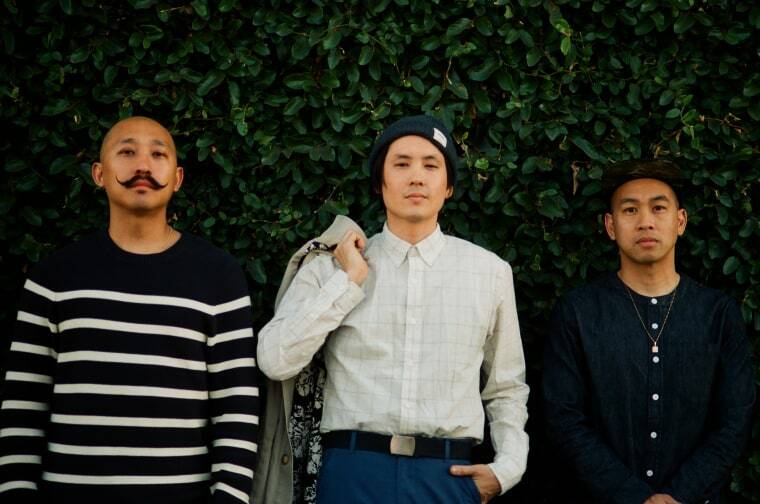 Somewhat disenchanted by the industry, Far East Movement decided to take a break and travel to Asia, where they began conceptualizing “Identity,” an album that bridges the gap between Asia and the United States. The album was a four-year process and is scheduled to release worldwide on Friday, Oct. 21. While in Asia, Far East Movement — which initially formed in Koreatown, Los Angeles, in 2003 — started producing for Japanese, Chinese, and Korean artists and began learning more about the region's music scene. Producing for artists in Asia helped Far East Movement gain a deeper appreciation, respect, and understanding of the scene and the culture, Nishimura said. It was vital in helping them reconnect with their identity and focus on a collaborative, global effort to include unifying sounds on their new record. Much of that talent from Asia, as well as from the United States, is featured on "Identity," which features collaboration with American rapper Soulja Boy, South Korean rapper Loco, singer-songwriter Macy Gray, Jay Park, Tiffany from K-Pop group Girls’ Generation, and others. “Freal Luv” — the first single expected to be released from the 11-track album — features collaborations with producer Marshmello, rapper Chanyeol from K-Pop group EXO, and singer-songwriter Tinashe Kachingwe. For "Freal Luv," the group first conceptualized Marshmello and then worked with EXO’s Chanyeol, furthering developing it before flying to Los Angeles and working with Kachingwe, Nishimura said. "Identity" is the first album released by Far East Movement’s own company, Transparent Agency, which also manages eight other artists. “Umbrella” — one of the tracks off the new album — features K-Pop group Sistar’s Hyolyn and Gill Chang, and its music video was shot in Alhambra, California, not far from where the group played one of its very first local gigs in Koreatown's Cafe Bleu, Nishimura said. “Koreatown has definitely been our backbone ... every time we would poster and do events, Koreatown has always been supportive … It’s cool because everybody is one phone call away,” Nishimura said. Nishimura said the collaboration for “Identity” was a slow and challenging process that involved building and nurturing relationships with artists. Nishimura said there were times when they would fly back and forth for a few one-hour sessions and fly back to LA to ensure that the sounds didn’t seem forced, but instead, natural. Nishimura said the group believes that the tracks on “Identity” are songs that anyone can relate to independent of their race or place of birth. “If we can put artists from Asia and artists from the U.S. and just make a song that anyone in the world can vibe to, and that’s I think all for us — that truly defines the Far East Movement identity,” said Nishimura said.